THE B-MOVIE NEWS VAULT: STOCK YOUR VAULT: New DVDs & Blu-rays for 11/28/2017! STOCK YOUR VAULT: New DVDs & Blu-rays for 11/28/2017! Well gang, November is about to come to a close and the month's genre releases are petering out big time! There are a few titles worth mentioning, but this is kind of a "breather" week before the holidays arrive. 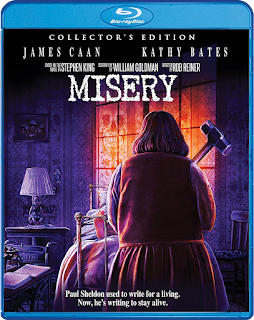 Scream Factory gives MISERY a nice Collector's Edition release, while their parent company Shout! Factory compiled the HALO: COMPLETE VIDEO COLLECTION which contains HALO: LEGENDS, HALO 4: FORWARD UNTO DAWN, HALO: NIGHTFALL, and HALO: THE FALL OF REACH. Garagehouse Pictures releases another must-have trailer compilation, namely TRAILER TRAUMA 4: TELEVISION TRAUMA, Cult Epics gives DEATH LAID AN EGG its Blu-ray debut, Blue Underground graced fans of DEATHDREAM with an impressive Limited Edition Blu-ray/DVD combo, and the critically acclaimed coming-of-age thriller SUPER DARK TIMES is now available on DVD! 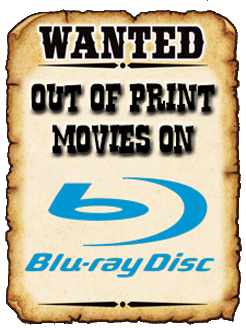 There's not too much more to mention here, so scroll down to see this week's paltry list of new DVDs & Blu-rays.